A home equity loan, also known as a second mortgage, gives homeowners the opportunity to borrow money for major financial expenses by leveraging the equity in their homes. Homeowners may choose to apply for a home equity loan to pay for expected or unexpected expenses such as home improvements, medical bills, or college education. 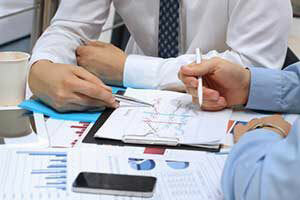 At Fairfax Mortgage Investments we offer loans and other financing services to meet the unique needs of our clients. We serve homeowners in Northern Virginia, Maryland, and Washington DC with services such as home equity loans. With more than 34 years in the business, our loan experts can help you cover life’s biggest financial expenses. In short, a home equity loan is essentially a line of credit that permits you to borrow funds with your home’s equity as a form of collateral. Equity is the amount between how much your home is worth and how much you currently owe on your mortgage. What makes home equity loans different than standard mortgages is that they are generally repaid in a shorter period of time than first mortgages. Most equity loans have a repayment period of 15 years. However, the length of the loan may be as short as 5 years or as long as 30 years. When you apply for a home equity loan from Fairfax Mortgage Investments, you will be provided with a one-time lump sum that will need to be paid off over a set period of time. This type of loan usually has a fixed interest rate with the same payment amounts monthly. After receiving the money from a home equity loan, you cannot borrow any further from the loan. This type of loan differs from a home equity line of credit which operates similar to a credit card by having a revolving balance. Home equity loans are beneficial to borrowers in a number of ways. This type of loan usually has a lower interest rate than unsecured loans which helps keep borrowing costs to a minimum. Unlike other types of loans that require excellent credit, approval for home equity loans is a little more lax. You may even qualify if you have bad credit. Borrowers are also able to qualify for larger amounts, especially if you have adequate equity in your home. 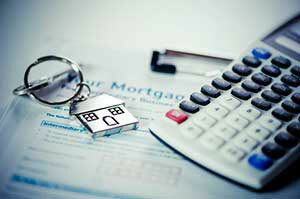 Interest rates on a home equity loan may also be tax deductible in some circumstances. Home equity loans are only approved to homeowners who can demonstrate that they have the ability to repay. Lenders will need to verify your finances and you may need to provide proof via financial documents like pay stubs and tax returns. While you will still need to meet certain requirements, home equity loans tend to be safer for lenders than other types of loans. Home equity loans are often considered ‘safe’ loans as they are secured with your house as collateral. If you fail to repay an equity loan, the bank has the power to take your property and sell it to recover any unpaid funds. Applying for a home equity loan is a fairly simple process. When you contact our loan experts at Fairfax Mortgage Investments, we will work with you step by step to get you the money you need for your financial obligations. We will start by checking your credit and credit history. In some instances, an appraisal may need to be completed which can take several weeks to finish. 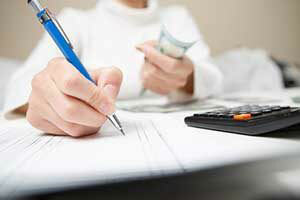 The process of applying for a home equity loan is similar to applying for a home purchase loan. Repayment will depend on the type of loan you choose. If you go with a standard home equity loan, you will be required to make fixed rate monthly payments until the balance of the loan is paid off. If you choose to go with an equity line of credit, the process may differ. In many cases, you will be able to make smaller payments for several years during a “draw period.” Once this period ends, you will need to make regular payments until the debt is paid off. However, both types of loans generally allow you to pay off the total balance of the debt early. Home equity loans can generally be used for any reason. Most homeowners seek out this type of loan when faced with major financial expenses that they are not able to pay with cash. Some of the most common uses for home equity loans include home repairs, remodels, and renovations. Some homeowners may also choose to apply for a loan to pay for a family member’s college education or to fund the purchase of a vacation home or second home. In some instances, a home equity loan can be used to consolidate high-interest rate debts. If you need a large sum of money to pay for an expense and have the means to pay it back over a specified amount of time, a home equity loan may be right for you. There are a few things to consider before making a decision. First, you will want to look closely at your finances. Does your budget allow for monthly loan payments? Also consider your credit score, credit history, and total equity. All of these factors will help determine your interest rates and amount you can borrow. If you are ready to apply for a home equity loan, contact our loan experts today at Fairfax Mortgage Investments. We are fully licensed in the states of Virginia, Delaware, Maryland, Florida, and the District of Columbia, and have helped thousands of clients secure the loans they need for a variety of purposes. If you have been turned away by other brokers, our loan officers are willing to take on the challenge of getting you a home equity loan. Fill out our online form or call our office today.